I’ve often heard the phrase “MDT solves problems to issues you didn’t even know you had.” And it’s certainly true in this case!! I was looking for a process or procedure that would allow me to present my current custom OSD front end HTA to an active end-user who is logged into Windows. Unfortunately, standard SCCM task sequences don’t allow this to happen. 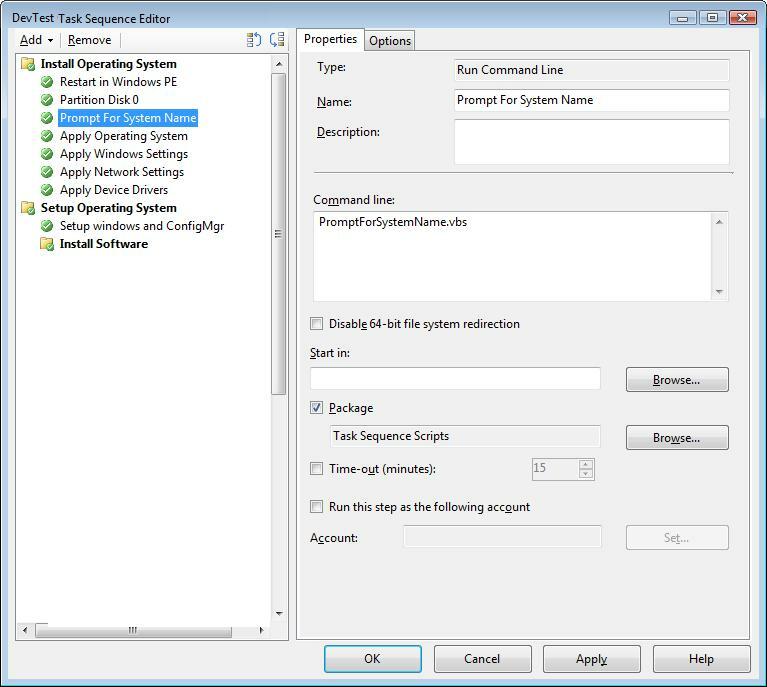 To workaround this, my first consideration was to run the HTA as a prerequisite of the task sequence, but therein lay another issue with SCCM task sequences – since the HTA was run as a prerequisite Program, it was not technically within the Task Sequence environment and therefore I could not set task sequence variables, etc. Note 1: it’s important to know that the options “-session:1” will only work if the user logged into Windows has local admin rights. My suggestion is to restart Windows and login as the local Administrator account. 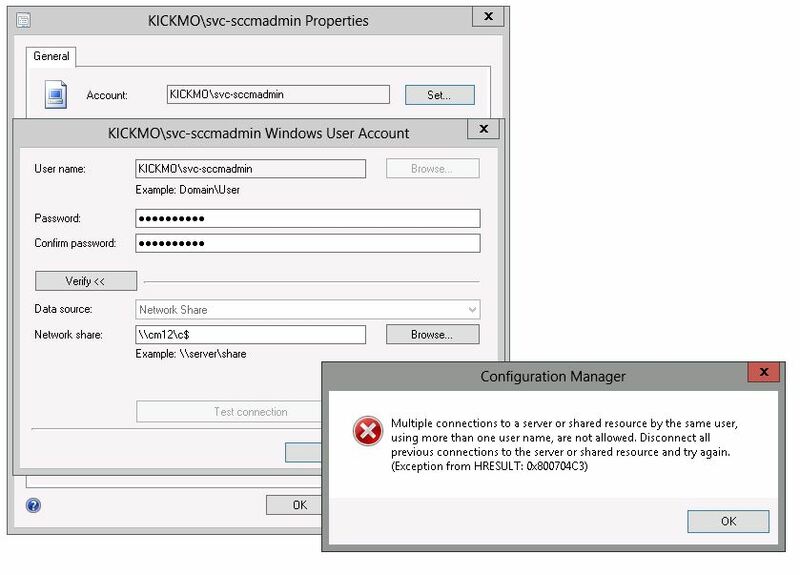 The exception to this note is if you’re using SCCM 2012 … then it must use mshta.exe from System32. 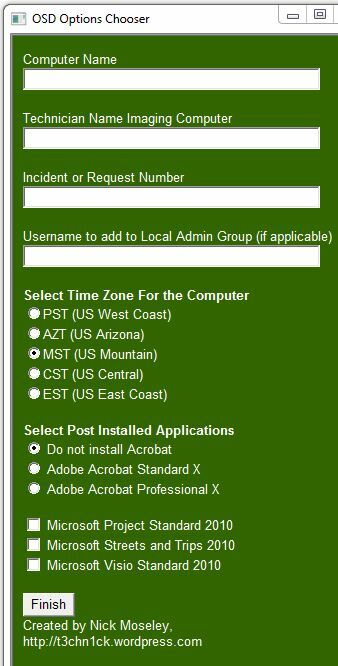 d) CRITICAL: Do not set option “Time-out (minutes)” as this will cause ServiceUI to error!